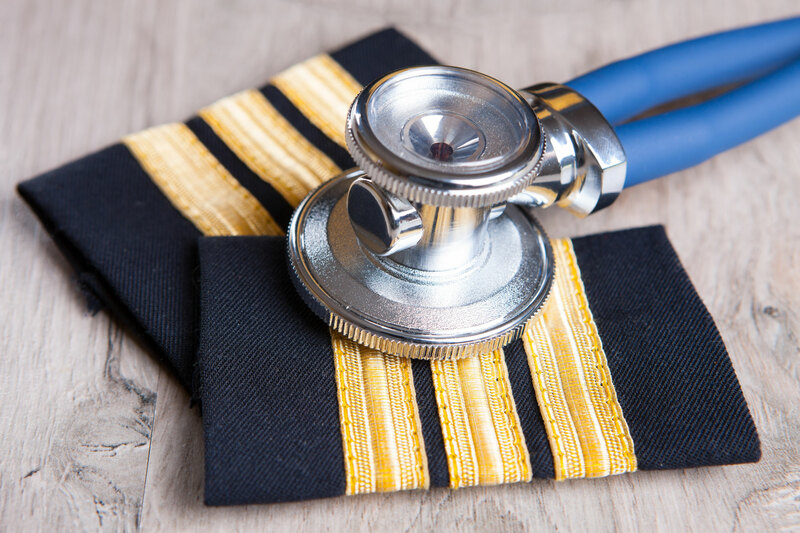 The aviation medical examinations are carried out in accordance with current medical requirements for civil aviation flight crews and air traffic controllers. A pilot’s health is of crucial importance as it potentially impacts the safety and well-being of many people. We conduct a thorough and comprehensive examination. What does the Screening Medical Include? Health risk and lifestyle assessment and consultation session to identify your approach to nutrition, physical fitness, stress management, smoking cessation. alcohol use and personal safety. Multi-stage treadmill ECG or resting ECG, which demonstrates changes in the heart’s electrical activity, damage such as blocked arteries or irregular heartbeats. Ultrasound of Abdomen – helps diagnose aneurysms, gall stones, kidney stones and disorders of the abdominal and pelvic regions. Pathology tests i.e. Lipogram, Cholesterol, Uric Acid, Blood Sugar, Mineral Elements – potassium, HIV/Aids test if required, Blood and platelet count, Thyroid function tests. These tests detect indications of anemia, low grade infection, diabetes, thyroid disease, gout, liver and kidney disease and can highlight cardiac or stroke risk factors. Prostrate tests in the case of males over 40. Lung Function Test – detects emphysema, bronchitis, asthma and or other pulmonary problems. As we age, our lung capacity tends to decrease and annual tests record lung functioning over time. Hearing tests – most individual tend to underestimate the degree of hearing impairment and delay using hearing aids. A full written report will be sent to you after your visit. It contains details of your test results and recommendations for your personal well-being, advice on lifestyle to help improve you health and reduce the risk of illness.